501 (c) 3 non-profit organization, established in 2005. The organization is dedicated to providing accurate and up-to-date information to medical professionals, patients and their families, and to the scientific advancement of both the diagnosis and treatment of the disease with the goal of saving more lives. Sponsors conferences and lectures directed to both the public and to physician groups that deal with myocarditis, its causes, symptoms, diagnosis and treatment. Serves as a clearinghouse of information about myocarditis, by developing educational materials, pamphlets, and publications for use by the public, families and physicians. Maintains a website devoted to educating the public about myocarditis. Information on the site will be relevant to families and professionals alike and will provide a link to other relevant websites with additional information. 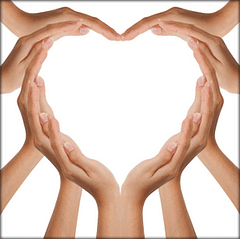 Provides research grants to organizations or to individuals to conduct research into myocarditis, in an effort to further scientific knowledge of the disease. Maintains a listing and MF contact on The National Organization for Rare Diseases database (sponsored by NORD). The National Organization for Rare Disorders database requires that for a disease to be listed, it must affect fewer than 200,000 people in the United States. NORD serves as the primary non-governmental clearinghouse for information on rare disorders. 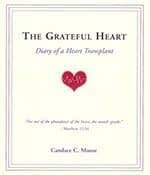 Myocarditis Foundation cofounder and heart transplant recipient Candace Moose chronicles her experiences in her book The Grateful Heart: Diary of a Heart Transplant.